I rarely eat dessert. Though I enjoy the idea of dessert, usually by the time I’ve finished dinner I’m too full for it. I always enjoy reading the dessert menu however and every once in awhile I’ll see one that makes me think, “Next time I’ll start there.” I never have actually done this though, at least until I was invited to a dessert tasting at Tamarind of London in Crystal Cove. I enlisted my sweets-loving friend, Kathy McGarry to join me because she knows her stuff and is an incredible baker of sweet treats herself! 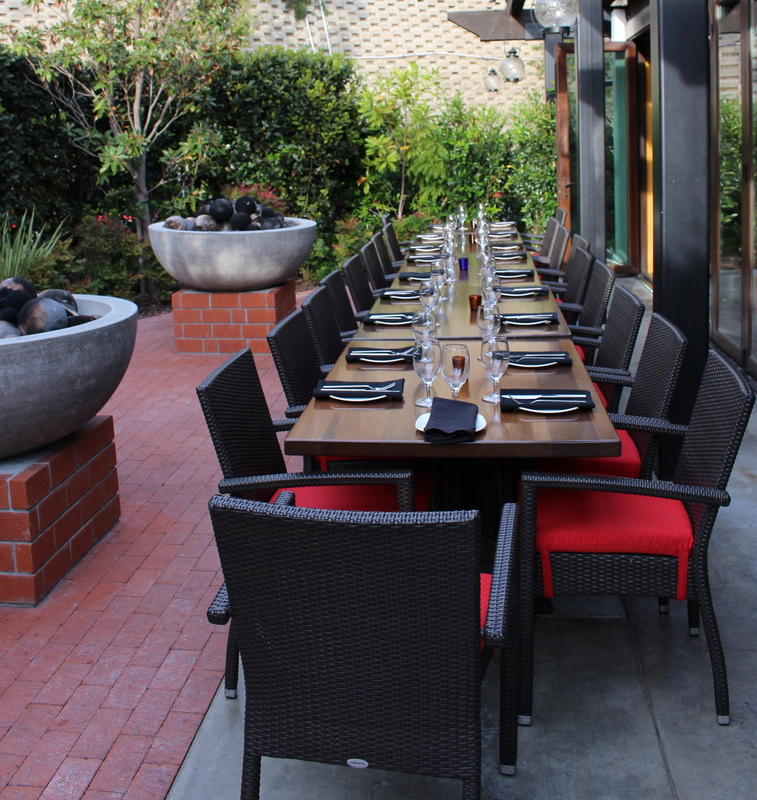 We arrived relatively early, ahead of the dinner crowd and what looked to be an engagement party that had reserved the beautiful outdoor patio area for the evening. We decided to sit in the more casual area that opens to the patio to enjoy the fresh evening air. After that we let our server and Pastry Chef Mark Medina guide our choices. 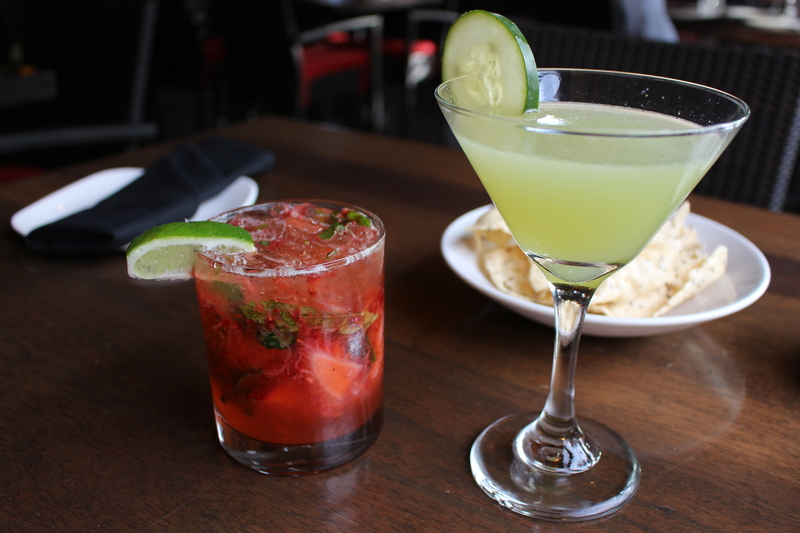 We each started by selecting from an assortment of refreshing craft cocktails and non-alcoholic cocktails. Kathy went with the Strawberry Mojito made with fresh limes muddled with mint and shaken with fresh strawberries and topped off with Sprite. This is a mocktail that could drive me to not drink… beautiful! I went with our server’s recommendation, the Tower of London. This smooth refreshing slightly sweet sour concoction has floral and herbal notes and is made with gin, St. Germain, muddled cucumber, basil and lime and is served up in a martini glass. 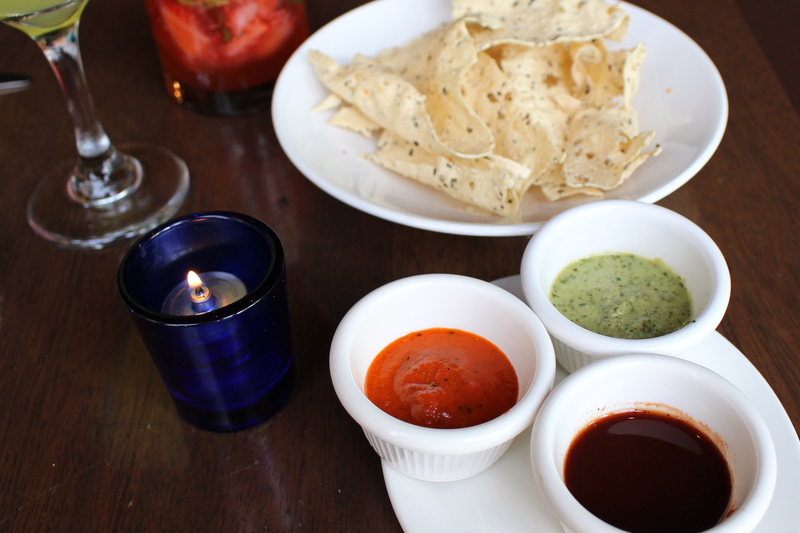 All meals start with their light crisp Papadum chips served with three chutneys: cilantro mint, smoky tomato, and a tamarind ginger. Be careful as these are highly addictive. So we wouldn’t slip into a sugar coma, we decided to share an appetizer of Lassen Jhinga (Tandoori Prawns) to prepare ourselves for our gluttonous dessert rampage. 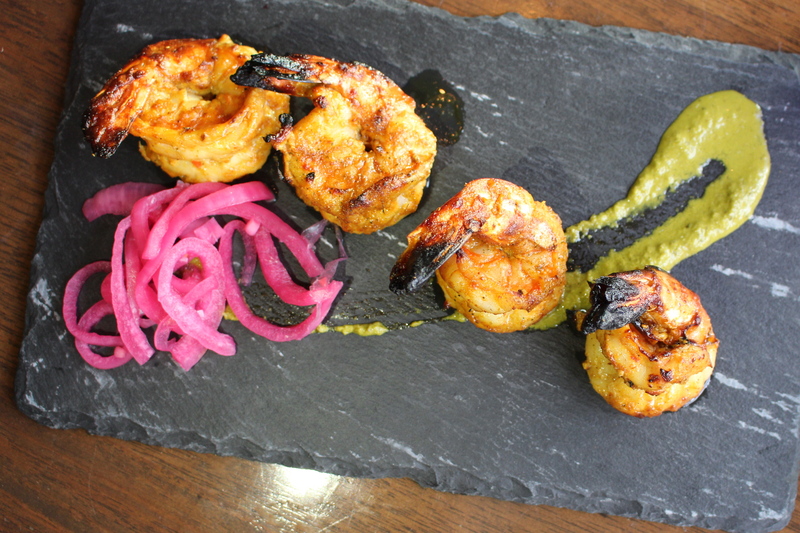 The flavor packed prawns are plump, slightly spicy and grilled and served with pickled onions and a smear of spicy basil chutney. Prepped and ready to take on the sugar, Chef Mark introduced us to three of his creations, beginning with a classic, Ras Malai. 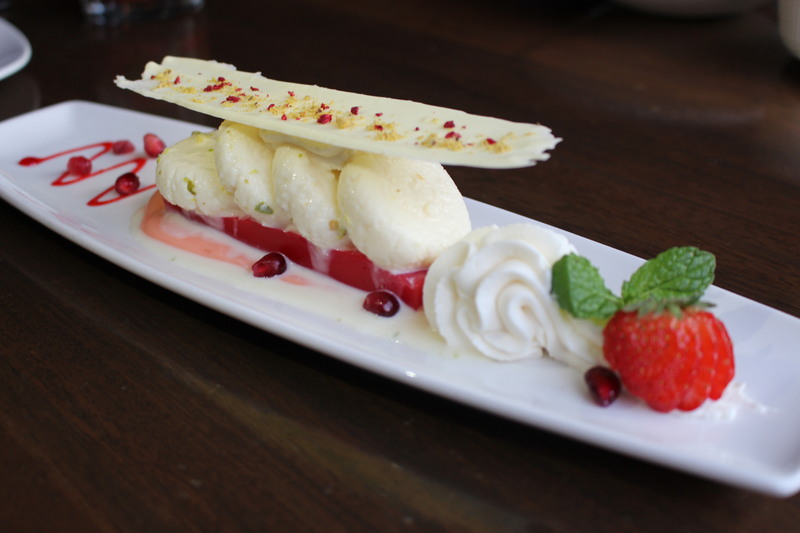 This is a spongy dessert of soft paneer dumplings presented gorgeously with pastry cream and pomegranate coulis and topped with white chocolate, pistachios and pomegranate seeds. Art on a plate. Kathy and I fell in love with the texture of the dumplings combined with the essence of rose from the pastry cream. If you favor lighter, less sweet desserts, this is the way to go. 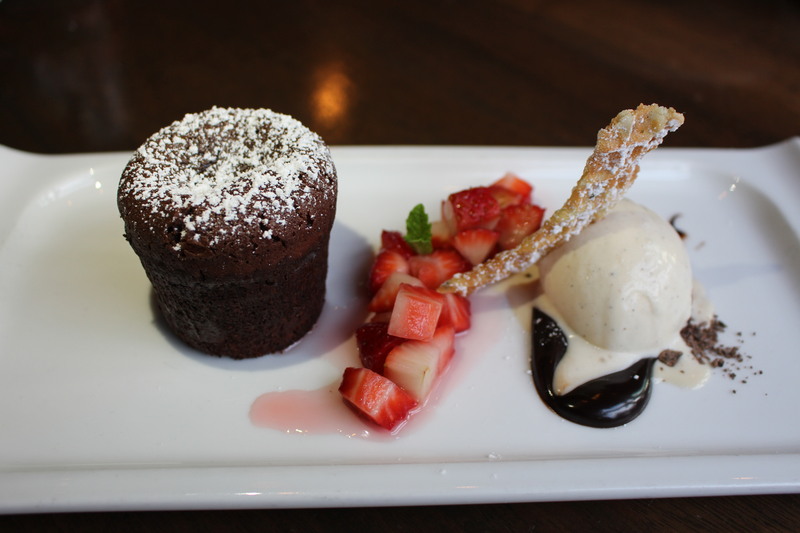 Okay chocolate lovers, here is your dessert. In fact, this is my dessert and I’m not even a chocoholic. 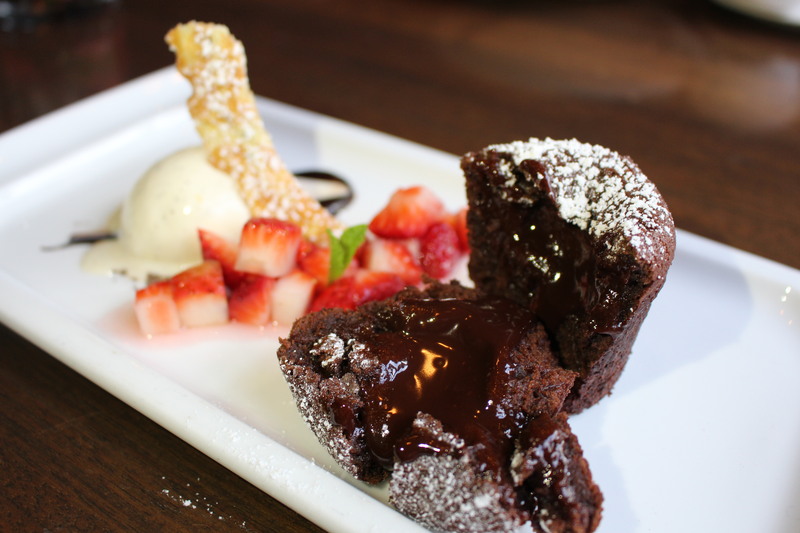 The Truffled Molten Chocolate Cake. A little caramelized crispness on the outside surrounds moist cake and a decadent gooey center of chocolate ganache lava. Balancing the chocolate is a small mound of house made Madagascar vanilla bean ice cream. Heaven. If you need a reason to not feel bad about this, the cake is gluten-free and the entire dessert can be ordered gluten-free as well. 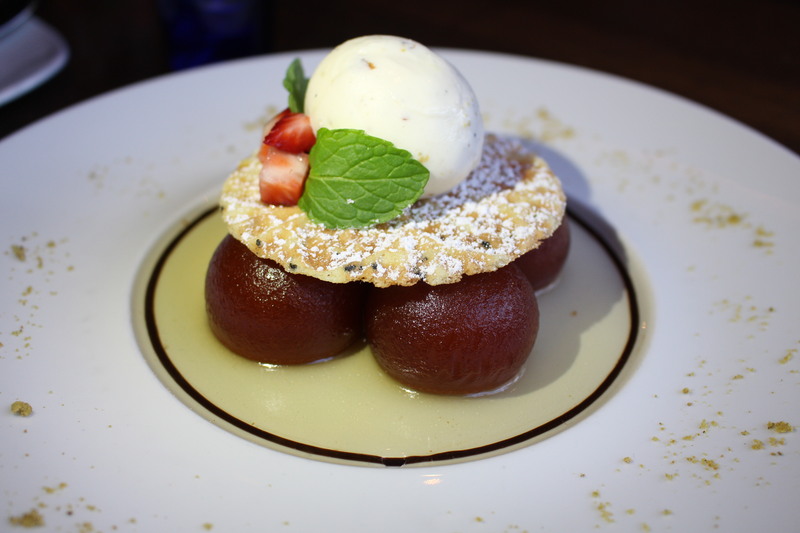 The sweetest of our desserts was the traditional, Gulab Jamun. These syrup soaked fritters are topped with a crisp butter cookie with homemade pistachio and cardamom kulfi, an ice cream like dessert with a dense, creamy almost custard-like consistency. I could eat a pint of this pistachio cardamom kulfi in one sitting no problem. In addition to these desserts you may choose from Tandoori Pineapple, Chocolate Simosas, Carrot Halwa, Rice Kheer, and an assortment of House Made Ice Creams, Kulfis, and Sorbets. 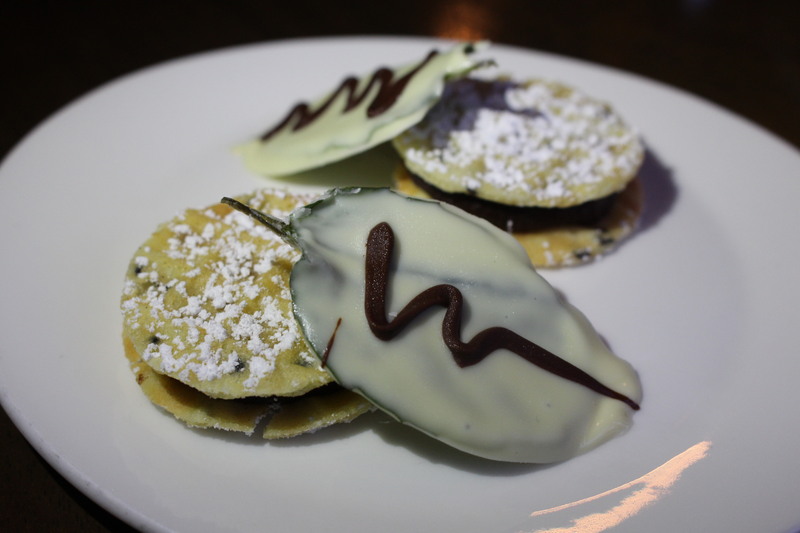 Our dessert dinner ended with the butter cookies and chocolate covered mint leaves normally served at the end of each meal. For anyone wondering if we were tempted with dinner following our dessert, we were too stuffed. If you love Indian food and have never been to Tamarind of London, treat yourself. It may be a bit pricey, relative to many local Indian restaurants, but the menu offers beautifully prepared modern and upscale takes on classic Indian dishes with an atmosphere that reflects the food. 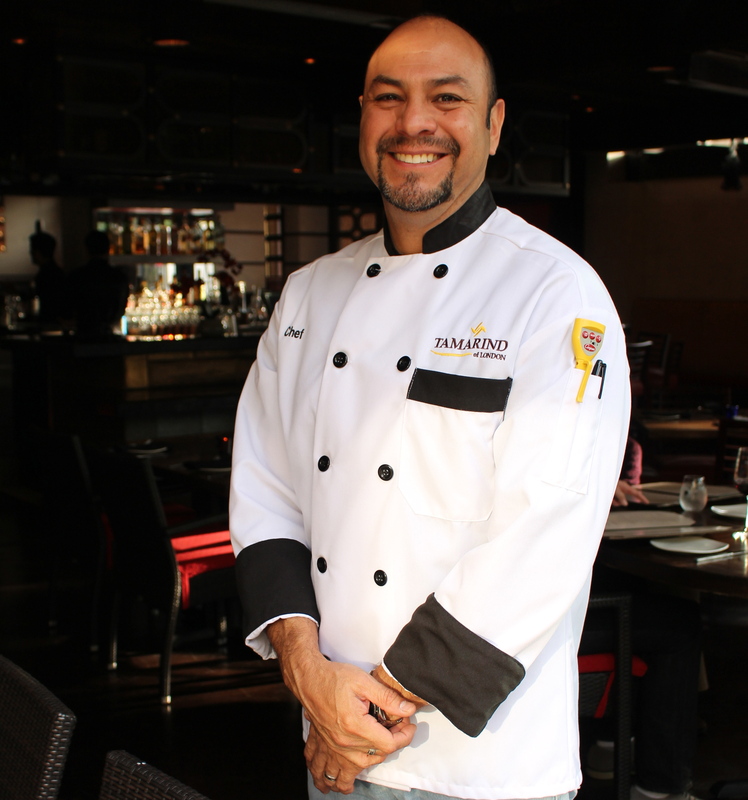 Tamarind of London is located at Crystal Cove Shopping Center in Newport Beach.